The recipe for this Citrus Poppy Seed Loaf with Yogurt Glaze is a twist on a classic favorite. 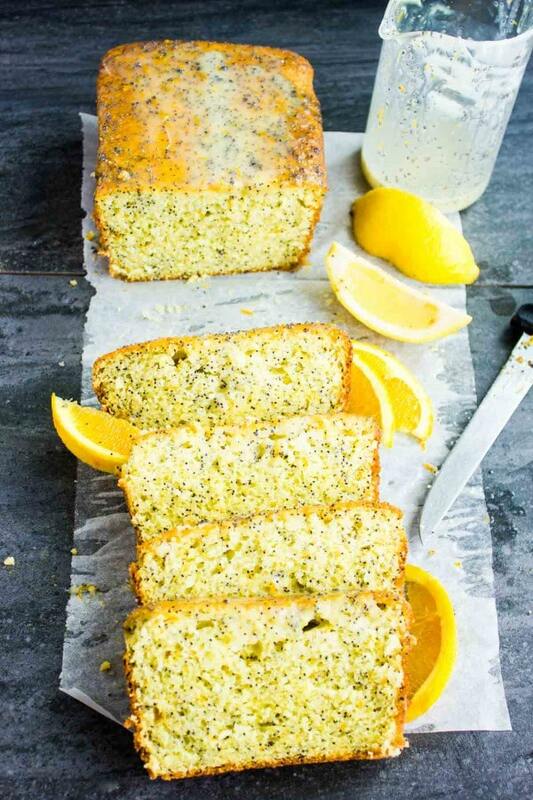 It’s perfectly moist, lemony and orange-y, not too sweet, and also has a soft airy texture that contrasts the bite from the poppy seeds. 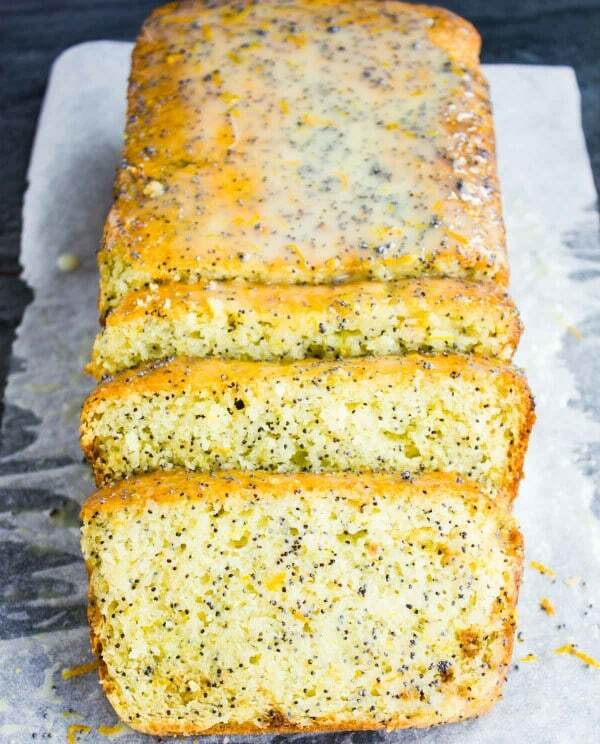 This easy Citrus Poppy Seed Loaf Cake is perfectly lemony and orange-y. 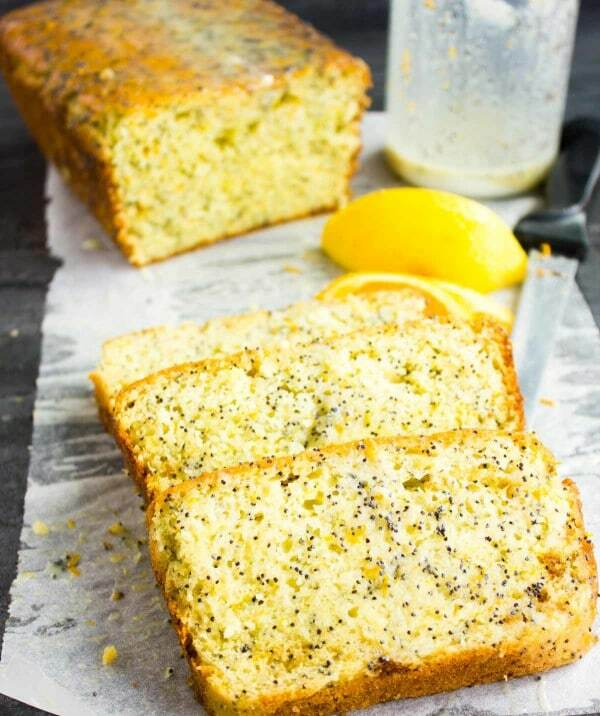 It’s not too sweet and has a soft airy texture that contrasts the bite from the poppy seeds. 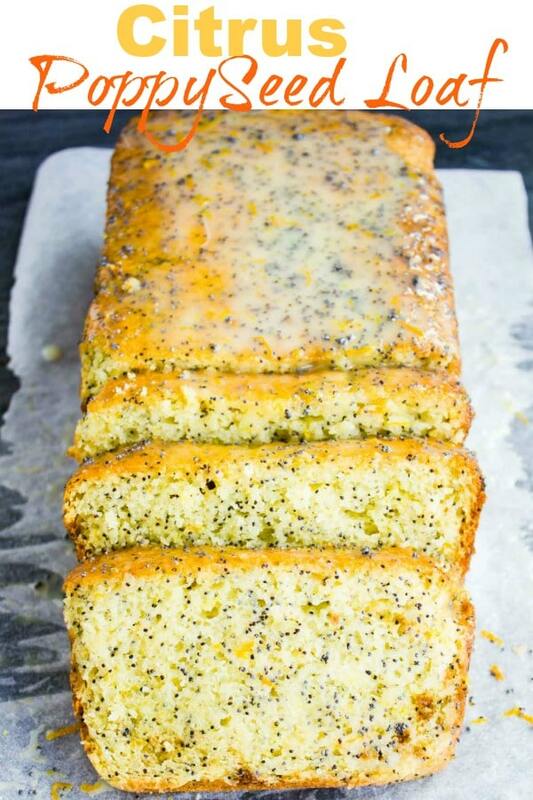 The glaze for this Citrus Poppy Seed Loaf Cake is extra special made with Greek yogurt, more citrus juices and more poppy seeds for a lovely finish to the cake. Likewise, this easy loaf cake takes 10 minutes to prepare and can be made into muffins. Also, the recipe can be doubled to make a bigger cake. It’s the perfect fresh treat to pull up when you’re rushed. 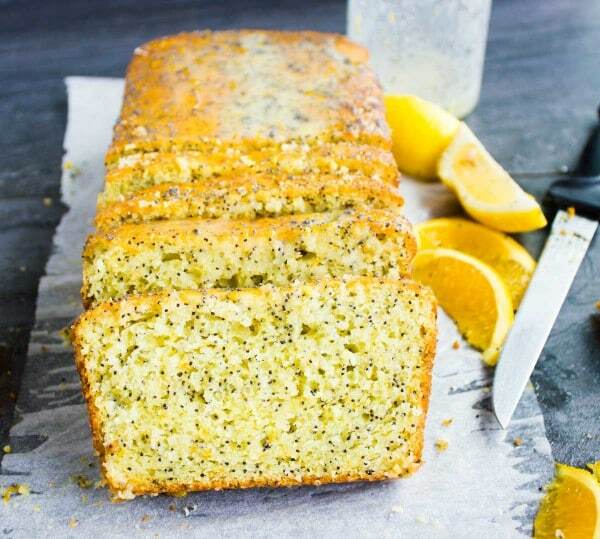 Making this Citrus Poppy Seed Loaf cake doesn’t require any fancy baking technique or rare ingredients. Since it’s a whisk and bowl method, you’ll need a handful of staple pantry items that you certainly have on hand. It’s one refreshing treat that shouts hello summer! I love to make this Citrus Poppy Seed Loaf in a loaf pan, but if you cut all ingredients in half, it can be made in a circular or square pan. I’ve also made this Citrus Poppy Seed Loaf with yogurt glaze into muffins and they were wonderful! They bake for only 20 minutes as muffins. About 30 minutes for a circular or square pan (half recipe), and about 50 minutes, when baked in a loaf pan. The recipe for this moist and fluffy Citrus Poppy Seed Loaf with Yogurt Glaze starts with whisking wet ingredients and dry ingredients separately. Finally, fold everything together, pour the cake batter into a pan. Bake the loaf cake for about 20 minutes until a toothpick inserted in the middle of the cake comes out clean. Just a few moist crumbs are ok.
Now while the cake is baking, the Greek Yogurt Glaze should be happening. Think of this lovely glaze as a thin layer of extra lemony freshness that is slightly sweetened with confectioner sugar. The Greek Yogurt Glaze is quite essential for this easy cake recipe. Really, because the loaf has very little sugar and needs just a hint of extra sweetness. The beauty of this glaze is that it isn’t overly sweet either, thanks to the use of Greek yogurt, lemon and orange juices. Made with vanilla Greek yogurt, lemon zest, orange zest, and orange juice, this Greek Yogurt Glaze is unbelievably refreshing and zingy. To add extra texture, I add a teaspoon of poppy seeds to the glaze, which compliments the cake beautifully. 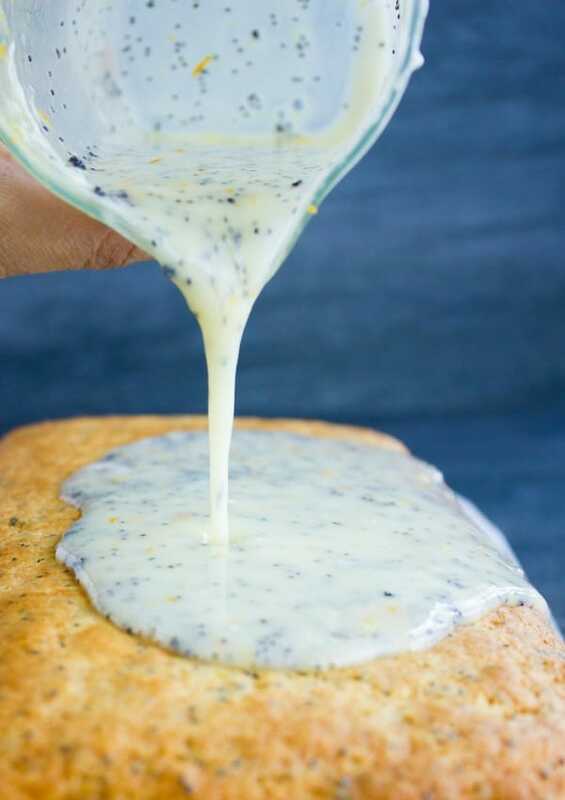 If you love easy lemon cakes or poppy seed desserts, you have to try this recipe for Citrus Poppy Seed Loaf with Greek Yogurt Glaze! It’s the perfect fresh treat to pack for work or to a friend’s place or even just for enjoying it yourself! The exact baking time of your Citrus Poppy Seed Loaf Cake depends on a lot of things. Make sure to always check 5 minutes before or after depending on the pan size you chose. Test the cake for doneness using a toothpick. You want no batter sticking to the toothpick. A few moist crumbs are ok.
Glaze the cake while still warm. That way, the Greek Yogurt Glaze can seep into the loaf cake and make it extra lemony and moist. 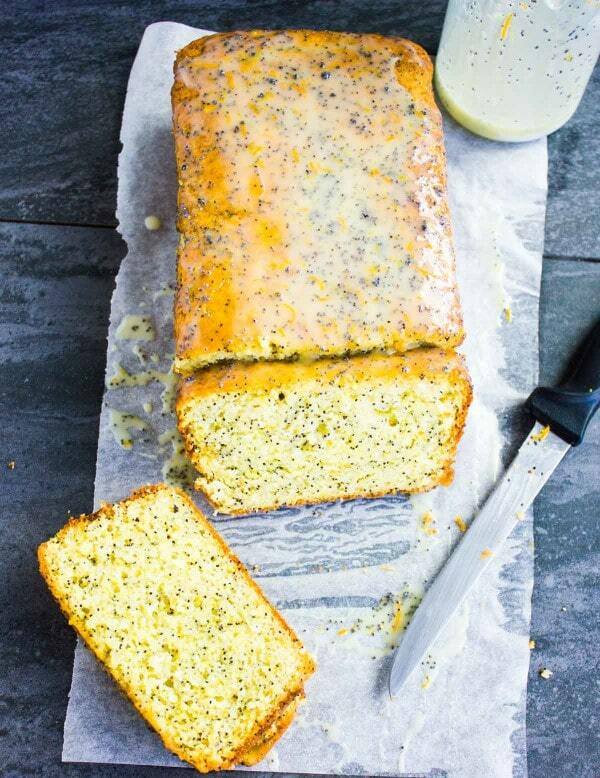 The recipe for this Citrus Poppy Seed Loaf with yogurt glaze is a twist on a classic favorite. 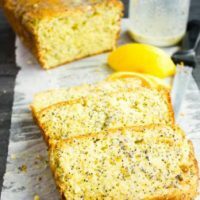 It’s perfectly moist, lemony and orange-y, not too sweet, and has a soft airy texture that contrasts the bite from the poppy seeds. Preheat your oven to 375 degrees. Lightly oil a standard loaf pan size, or an 8-inch cake pan, square round or a muffin pan. In a large bowl, whisk the sugar, all zests, juice, oil, eggs and buttermilk until well combined. Then add in the poppy seeds and mix well. Bake (middle rack) for about 20 minutes ( always check 5 minutes before or after depending on the pan size you chose) until a toothpick inserted in the middle of the cake comes out clean or with just a few moist crumbs. Whisk all ingredients in a small bowl until nice and smooth. Add a little more juice if you prefer a runny glaze or a little more confectioner sugar if you prefer a thicker glaze. Super delicious! I cant stop myself from eating it! Perfect cake for this weather, very citrusy, poppy seeds give it this nice crunch and it’s soo fluffy! Had no greek yogurt so I used cream cheese for the glaze and it’s really nice!